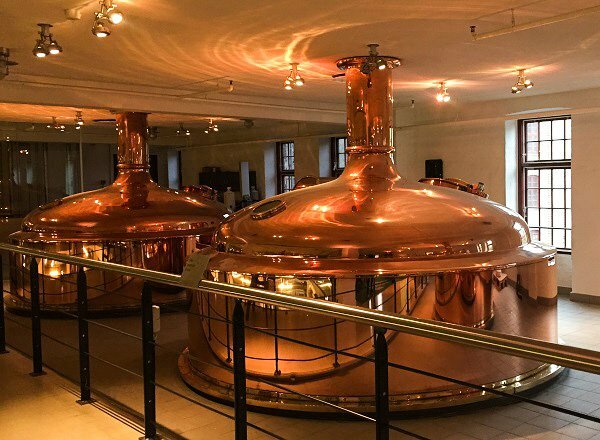 The Carlsberg Brewery in Copenhagen is one of the most interesting in Europe. If you do it right, you could be there for hours. The tour through the brewery is self-guided unless you pay for a guide. 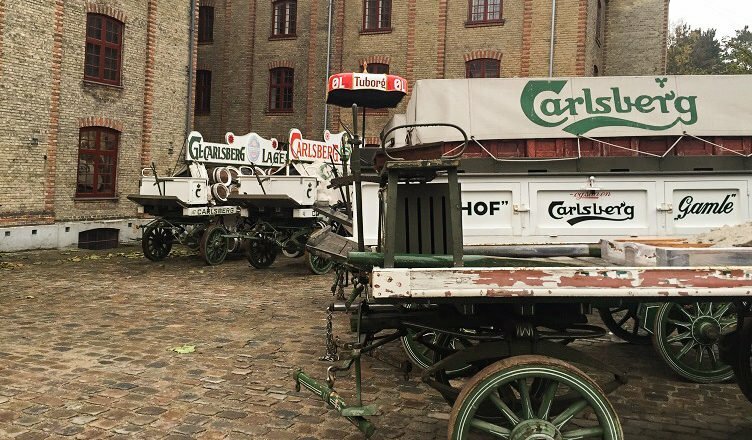 The map takes you through a mini historical museum and production, a sculpture garden, the stables where they keep the keg-carrying horses of the brewery, and the bar. There you can use not one, but two vouchers for a beer. This is nice because most breweries include only one drink with the price of admission. And the price of admission is just a wee cheaper than buying two beers anywhere in the city. Unbeknownst to us, the guided tour, which we intended to take, was not part of the cost of admission. It was an additional fee, around $7.50. No one told us this until we waited for the tour to start and the guide asked for our tickets. By the time we realized, it was too late for us to book another one because it would conflict with the other two activities we wanted to do: the free carriage ride and the beer tasting (which also costs an additional $7.50). But you can take yourself through the exhibition and check out the world’s largest bottle collection. After missing our guided tour, we went and played with the horses in the stable. They’re chunky Scandinavian horses, which is a sight to see if you’ve never seen a horse that looks prehistorically large. So we waited at the designated horse meeting point according to the map they had given us and according to the sign posted in the area. We had just made it in time for the last ride of the day. But when the start time came and went and no horse carriage came to retrieve us, we realized something wasn’t right. So we went and asked. Apparently, the horse meeting point had been moved this week. No one bothered to tell us and we didn’t think to ask, so we missed it. So we wasted 30 minutes waiting around for this ride and missed it anyway. But at least we got to see this cutie and all her friends. But the great thing about being really angry at a brewery is that you can be drunk and happy in 10 minutes. We went and got our second free beer and then we did a beer tasting. The tasting was led by a charming guide named Kasper, who told us all about the history of different beers. We tried three bottled beers from their production line: a porter, a pilsner, and a blonde ale. He knew what we were about, so he gave us the half-full bottles of beer leftover from the other tables doing the tasting. He even gave us tips on where to go drink in Stockholm, where we were headed. 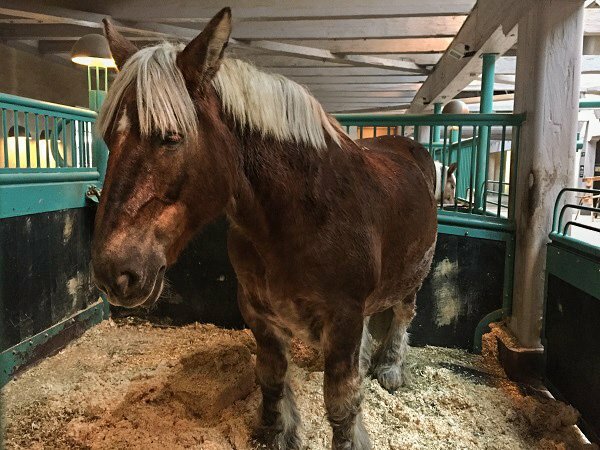 Many of the activities conflict with each other (like the tour, the tasting, and the carriage ride), so you either have to spend several hours there or choose between them. If you’re interested in the carriage ride, know that they end early and they’re first come first serve. The last one is usually at 2 pm, and on the day we went, at 1:30 pm. Ask to make sure that the time and the meeting point have not changed. Do the beer tasting before you go to the bar so you can get a better idea of what you want to drink from their extensive selections on tap. Not everyone loves tours full of history and fun facts about beer brewing, so drink before it starts so that everyone has a good time. They offer a free shuttle back to Tivoli, because the brewery is in the middle of nowhere. The shuttle runs on a limited schedule and the last one is also fairly early, before 3 pm. 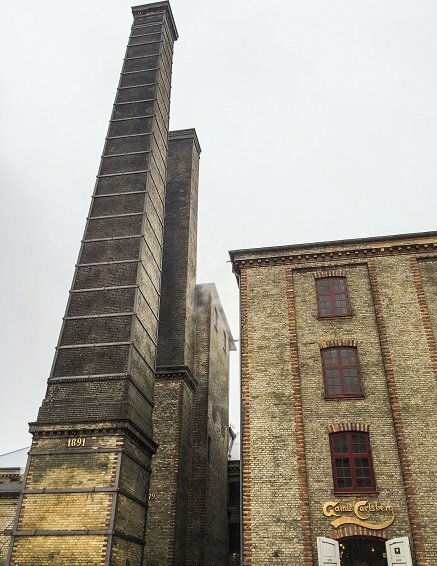 This is the cheapest place to get drunk in Copenhagen. So to quote the cab driver who dropped us off there, cheers! Get the GPS-guided version of this and other articles about Copenhagen on GPSmyCity here.